Before she was discharged, Mom signed a POLST form, short for a Physician Order for Life-Sustaining Treatment. I&apos;d heard of advance directives, which spell out the kind of medical care a person would want if they become too ill to communicate those wishes. But I&apos;d never heard of POLST. In Oregon, where my mother lives, it&apos;s a one-page piece of pink paper that bluntly asks if you want to have CPR performed if your heart stops and you&apos;re not breathing. Three other check boxes ask how much medical intervention you want: going to the hospital and an intensive care unit; perhaps the hospital but no ICU; or skip the hospital altogether. A third question asks if you want to be fed through a tube. That&apos;s it. Because it&apos;s signed by a doctor or other provider, a POLST has teeth. It overrides the legal obligation of an EMT or a hospital to provide CPR and other emergency care that for old and sick people can lead to a long, miserable hospital stay. "It&apos;s not for healthy people," says Dr. Susan Tolle, director of the Center for Ethics in Health Care at Oregon Health Science University. Instead, it&apos;s for someone who is aware that they may soon die. "We would encourage doctors to reach out to patients if they would not be surprised if they died in the coming year," Tolle says, "or if they had advanced frailty. The little old lady hunched over their walker, that&apos;s the definition of frailty." That&apos;s also the definition of my 92-year-old mom. She can still beat me handily at hearts, but she&apos;s physically weaker each time I see her. "Do everything" is the default mode for American medicine, but that all-out approach often doesn&apos;t serve the very old well. CPR works only about 10 percent of the time in the general population, Tolle told me, and it&apos;s even less successful in a frail old lady. First, if someone at that age collapses, it&apos;s usually because there&apos;s a serious medical problem like a heart attack or stroke. And performing CPR on someone with osteoporosis breaks ribs rather than circulating blood. "That isn&apos;t walking off the film set looking good with your hair nicely combed," Tolle says. "That&apos;s going to the ICU on a ventilator." In studies, Tolle, who helped develop the POLST form, has found that just about 12 percent of permanent nursing home residents would want to go to an ICU. "Most say, &apos;I want to go to the hospital to get the easy things fixed, but I don&apos;t want the ICU. I don&apos;t want CPR.&apos; "
POLST forms work well in nursing homes, where they&apos;re often taped on a resident&apos;s bathroom door. But they can be harder to put in force when people are still living in the community. Some members of the disability community have questioned whether POLST is being too broadly applied. Rather than give people more control over end-of-life medical care, they say, it could mean interpreting "disabled" to mean "on death&apos;s door". "Our concern is that it&apos;s being used with non-terminal people," says John Kelly, a 54-year-old quadriplegic who lives in Boston. He was taken aback when a nurse showed up with Massachusetts&apos; version of the form, called a MOLST. "I joke that I&apos;ve got my pink MOLST on the fridge, and I&apos;m afraid that the firemen will come in and glance at the refrigerator and say, OK, he&apos;s got [a do-not-resuscitate order]. They interpret it as meaning no treatment at all." POLST is almost certainly inappropriate for someone disabled but otherwise healthy, Tolle says. "People are handing out the form a little too early sometimes, and we want to push back on that," she says. "It&apos;s for people who we can say are in the winter of their lives. They have advanced illness and frailty. They have declining health." Since her fall my mom has been quite clear about what treatments she doesn&apos;t want. I realize that her desires may change and that the POLST form should then change, too. And I know we&apos;ll be talking about this more, even though I have a hard time thinking about it without tearing up. 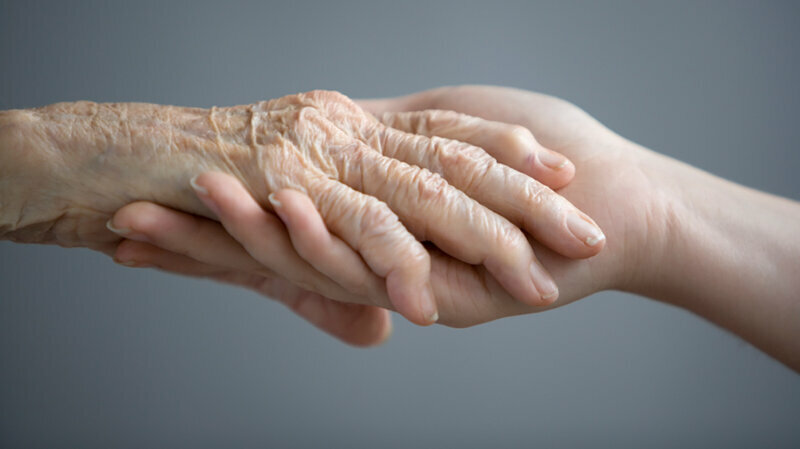 Family gatherings like Thanksgiving can be a good time for adult children to ask aging parents about their wishes for end-of-life care, and whether those wishes would be best expressed through an advance directive or a POLST. A number of groups offer crib sheets with questions that aren&apos;t entirely scary, like "Would you rather die at home or in a hospital?" It&apos;s also a good time for parents to speak their minds if the kids don&apos;t ask. "Lean into it, step up to the plate," Tolle says. "On Thanksgiving after dinner, tell your children what you want. You really will lift a burden." An earlier version of this story ran on Nov. 28, 2013.